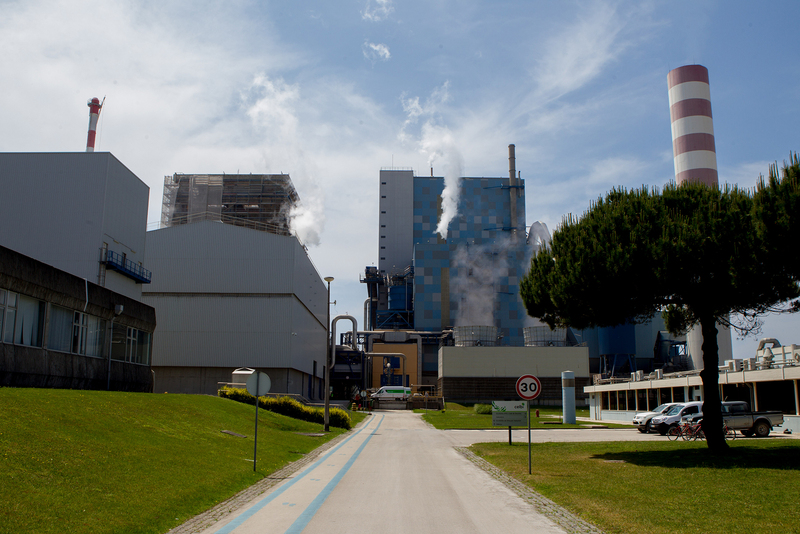 The European paper and cellulose industry has followed very closely in the footsteps of the three main stages of industrial manufacture since the 18th Century. From incorporating steam-generated power to electricity, and including the progressive integration of automation and information technologies, the paper industry is now poised to accept the challenges of Industry 4.0. The new challenges presented by this digital revolution revolve around massive amounts of data (big data), connection capacity throughout the value chain in real time (Internet of Things) and the existence of smart factories. 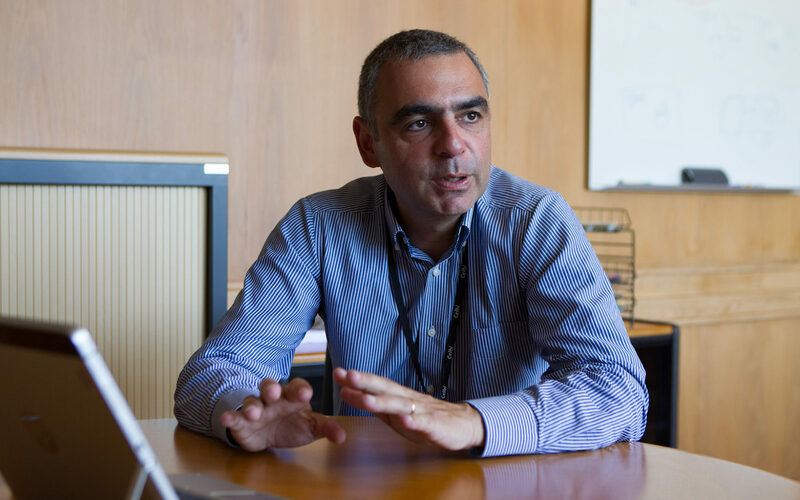 Miguel Coelho took on the role of director of Information Technologies (IT) for the Altri Group in February. The path he has set out for the company includes ensuring technological equilibrium between all its factories, by identifying which one has the best practices in each system or process and then replicating them in all the other factories, where applicable. With regard to IT, there is only one direction to follow: consolidating systems, processes and applications in order to reduce the risk of having outdated factory units. All Altri factories will thus be able to benefit from a common corporate architecture. This will enable local teams to spend more time supporting business areas in seeking solutions to meet new challenges, rather than spending time on problems relating to capacity, availability or technological obsolescence. 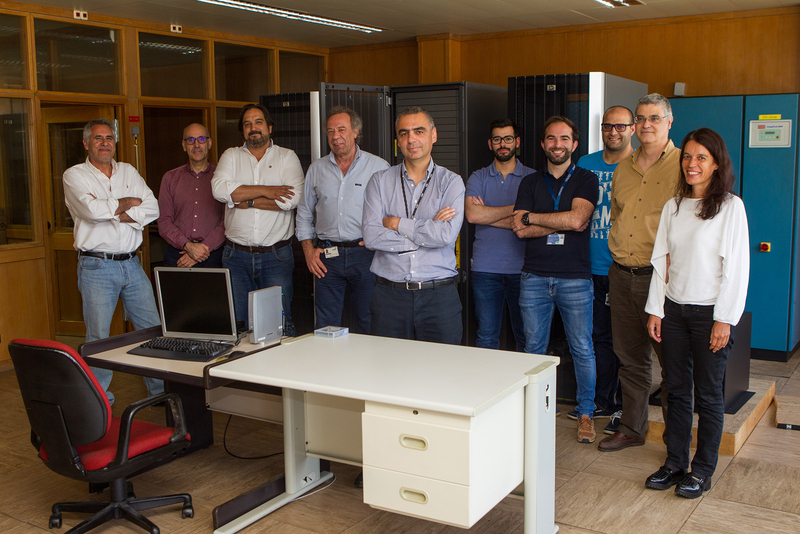 When we spoke to Miguel Coelho he told us all about the technological vision he intends to implement throughout the Altri Group and the challenges Altri’s IT department will be faced with going forward. We went to meet him and here’s how it went. What are the main challenges currently facing Altri? Today’s world is faced with multiple challenges, and Altri is no exception. Climate changes, structural demographic changes and a lack of resources all affect industry transversally and globally. At the same time, competition from other parts of the world has increased, forcing companies continuously to become increasingly efficient and competitive. This puts pressure on regions with higher production costs. What role do information systems play in responding to these challenges? Risks arising from low-quality information are unacceptable. The amount of information increases exponentially from suppliers, production information systems, customers and regulators. The Altri Group must build good “information intelligence” practices, using existing data analysis technologies based on machine learning, for example. This information will enable us to anticipate warnings of potential threats or identify potential business opportunities. Once filtered and correlated, the information gathered will thus maximise its value, and good data intelligence practices will help to ensure that other digital transformation initiatives are successful. This is a vital role that information systems must play: reliability and availability of information. 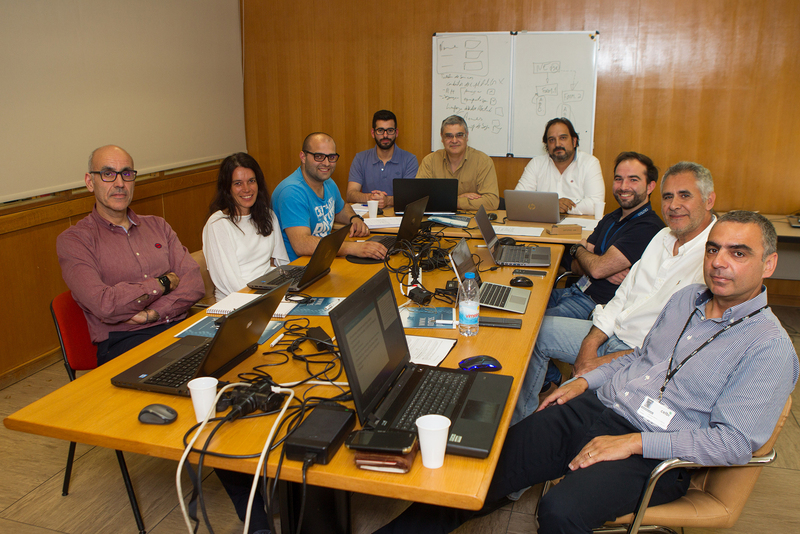 What’s the mission of the Altri Group’s Information Technologies department? Our mission revolves around being a strategic partner for the various different business areas. Although the very function of IT has changed over the last two decades, I feel we are already considered an irreplaceable partner in seeking and implementing new solutions for the ever-growing challenges facing each area. Who do you report to at Altri? The IT Management reports directly to Nogueira Santos, who heads up the Altri Group’s administration, financial and shared services area. How many people work in the information systems area? There are 13 employees in our area, spread out amongst the group’s various different sites, albeit all united in one goal: to provide an excellent service to our domestic customers. If we contribute towards ensuring our domestic customers’ satisfaction then we feel we are also contributing towards the Group’s success and towards achieving the goals it has set for itself. How many outsourced partners do you have? Our strategy involves maintaining strong and lasting partnerships with companies which are technologically innovative, visionary and socially responsible such as SAP, IBM and Microsoft. Our internal services are complemented by the more specialist services provided by Roff (SAP), IBM (Maximo), Claranet (data centre and security systems), Cilnet (networks), Inflor (SGF) and a local partner which maintains some satellite systems (for raw materials management). For communication technologies, our partner is Meo, which supports our entire (fixed and mobile) data and voice network. We are nevertheless always open to establishing new partnerships which add value to our operation and which bring innovative solutions to the table. On average, how many information systems projects does Altri develop every year? As well as the improvements we are constantly making to all our local or corporate information systems, Altri is currently developing around six projects every year. What’s the average duration of those six projects and how many people, on average, are allocated to each one? The length and number of people allocated is always dependent upon the scope of the project. One of the last SAP projects took 18 months and required a team of 10 people (both internal and external). Nevertheless, our overarching concern is always to ensure we are delivering quality with our information technologies, in line with constantly-changing business requirements. Lengthy projects also entail higher risks, so we always have to be very careful in setting out the best strategy to achieve the goals stipulated for each project. On average, how many projects do you have on the go at any given time? In order to ensure efficient project management and to achieve the goals set out (in terms of scope, time and cost), we can’t really have more than two projects underway simultaneously. What’s the department’s annual budget? Our budget is almost 1.5 million euros. What were the last three IT projects you undertook? Can you explain what you had to do for each project and what was the purpose of each initiative? In terms of application, we saw a major SAP project Go Live throughout the Group in 2017, which was aimed at integrating our logistical processes into the corporate ERP, and the Forest Management System also went live. We increased the robustness, efficiency and reliability of the company information system. We also implemented Maximo at Caima, thereby consolidating the maintenance processes of the three factories into a single system. As regards IT infrastructures, we also executed the Office 365 project and migrated the company email to the cloud. Finally, in terms of security, we implemented a new corporate system, on all the group’s sites (large and small) which includes a firewall, VPN and proxy. These are just some of the examples of diverse projects with successful results, which demonstrate the excellence of the work performed by our IT team. Which IT projects are you currently developing? There are several. For example, we are currently developing the bases for implementing the MOPS system at Caima, in a project which incorporates elements of the corporate IT, local IT and elements of the operation. We are also finishing up an FSC timber credit management project common to the entire group, developed on SAP. In order to guarantee the quality of future projects on SAP, Maximo or SGF we have also updated the QAS environments of these three applications. This was managed by our team and executed simultaneously by three geographically distant companies (Lisbon, Porto and Brazil). We are also actively participating in the GDPR project together with the Legal Department. Basically, we are working on several fronts, on projects which can be considered more business-related than technological. In which technological direction are you taking the infrastructure? In order to achieve a high degree of automation and integration throughout the value chain, the very organisation of Information Technologies must undergo an evolutionary transformation, including the Consolidation, Standardisation, Simplification and Automation of corporate processes, applications and systems, so that the IT processes and services can be delivered fluidly and efficiently. “A journey of a thousand miles begins with a single step” and this will be the case with Consolidation of systems, applications and processes, which we envisage to embark on this year. How do you intend to complement your technological infrastructure? Which projects have you got earmarked for 2018 and 2019? Our first goal in 2018 is to consolidate and stabilise the last major projects completed in 2017 – the SAP project (logistics procedures) and SGF project (Altri Florestal processes). There will always be minor projects as well, some of which I have already mentioned – such as MOPS, management of FSC certified timber, and GDPR (promoting, for example, the creation of a corporate security policy). We are also analysing projects to ensure compliance with IFRS 16 and extending the PAYGEST portal to other companies (for training, expenses, holiday and payroll management). We are also in the process of analysing the feasibility and scope of other projects, all of them aimed at increasing the robustness of the information system, obtaining competitive advantages or ensuring organisational innovations. For example, a business intelligence system which complements the information generated by the OPP and which makes the information available in a more timely manner, or the creation of a round-the-clock SOC – Security Operations Centre for increased security. How are you moving towards introducing industry 4.0 to the group? Industry 4.0 may be pivotal in developing solutions for the challenges the group is facing. It’s based on five pillars which, when combined, allow companies to make use of how information and telecommunications technologies have evolved over the last 20 years. These five pillars are intelligent equipment; networks and connectivity; integration of the value chain; smart data and data analysis. The innovation resulting from this evolution can influence not only processes, services and products, but also enable new business models to be created. I believe the IT team is capable of making a significant direct contribution to some of these pillars and collaborating indirectly with others, marrying its accrued knowledge of business processes inherent to the paper pulp industry with its obvious IT knowledge. What is being done to improve operations at your factories? 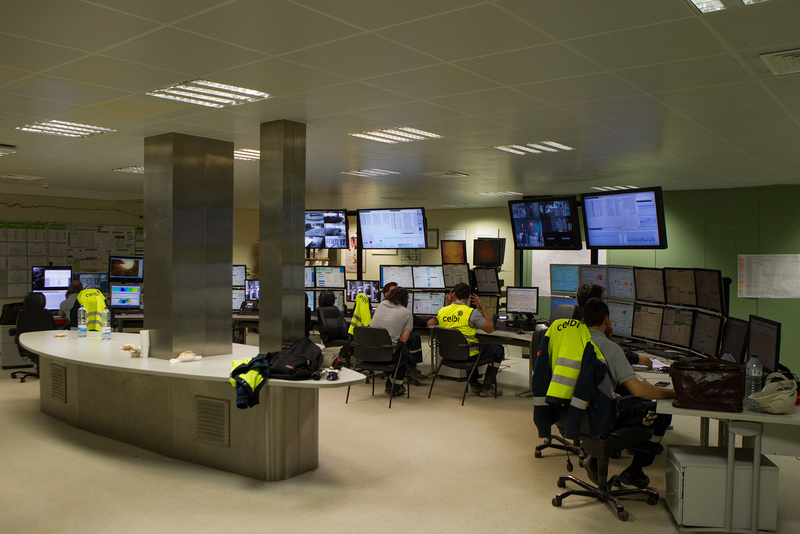 We are taking an active part in the Optimization of Process Performance (OPP) project, resulting from the partnership between Altri and Andritz. This initiative aims to improve operating efficiency at one of the group’s factories. If this project is successful, it will pave the way for other initiatives of its kind, based on smart sensors and machine learning. How can Industry 4.0 help Altri’s business activity? When we think about the potential of applying Industry 4.0 to the forest and pulp industry value chain, we can see there are many opportunities. What’s being done to harmonise information systems? We are doing a survey of the different systems, services and applications at the three factories with data centre systems, with a view to optimal consolidation. Three-fold management in distinct environments – from licensing to backup management, including databases, servers and storage – makes our business activity more difficult and raises obsolescence problems which only get resolved by three-fold investment. This takes away resources which we could otherwise channel into activities which bring more added value to the business. By the end of this survey, we will have a road map which will allow us to decide on the best strategy to follow in order to increase the robustness and efficiency of the information systems. This consolidation has already been achieved on some applications – SAP and Maximo – which may serve as an example of good harmonisation practices. There are other areas which have yet to be explored, such as Human Resources, some industrial information management systems and the area of laboratory management; in the latter, although the application is the same, there are three distinct application servers and databases. Does the difference between existing systems cause any entropy of management data quality? Not yet having any clear consolidation does create difficulties in accessing consolidated information, be it administrative, financial or operational. The information is generated using more resources – time and personnel. It also creates inefficiencies with our partners, there being different contacts, different portals, and different information repositories. There’s another aspect which relates to the difficulty in creating or altering internal processes or services (different interlocutors, different systems, different partners) and, finally, it makes it more difficult to keep information secure because there are more points from which to attack and disperse/replicate sensitive information. Here at Altri we know the path we need to take and that it is difficult but a strategic necessity in order to strengthen our group. Using raw material – timber – information can be gathered on the ground in real time regarding the volume, condition and maturity of the tree stock. These details can convey the ideal time to fell, or provide information regarding its condition (humidity, disease, etc.). 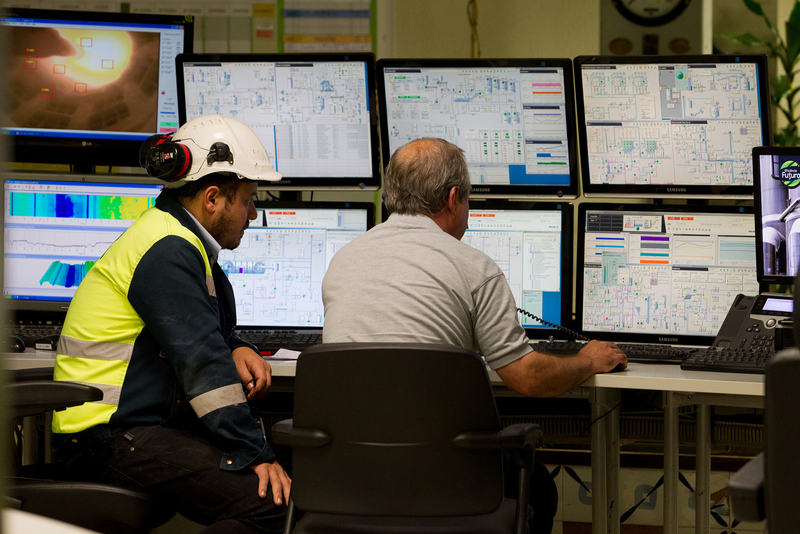 Similarly, suppliers can have a real-time connection with industrial customers such as Caima, Celbi and Celtejo and can react – without delays – to our customers’ requests and new needs. By monitoring the production process, the stock of end product and the current sales forecast, suppliers would also be able to identify quality problems or the most pressing material needs, thus ensuring faster stock replenishment.